On Feb 3, the New York Attorney General’s office sent cease-and-desist notices to four major retailers, accusing them of selling fraudulent herbal supplements. Using a method called DNA barcoding, the AG declared that only 21 percent of the supplements they tested actually contained any of the herbs the label stated. Supplements included echinacea, garlic, ginkgo, ginseng, saw palmetto, St. John’s wort, and valerian. “This investigation makes one thing abundantly clear: the old adage ‘buyer beware’ may be especially true for consumers of herbal supplements,” said AG Eric Schneiderman in a statement. But botanical experts say the investigation is far from clear, as a DNA test of herbal extracts actually proves very little. Mark Blumenthal, founder and director of the American Botanical Council (ABC) issued a statement Feb. 3 detailing the problems with the investigation and the AG’s premature pronouncement. “From a scientific perspective, it appears that the NY AG is way out in front of the available scientific evidence to support and substantiate his position,” said Blumenthal. The biggest problem with the AG’s eureka moment is that DNA is a poor marker for identifying plant extracts. Herbal extraction uses alcohol and other solvents that can denature the DNA. The process makes the plant material more effective as a supplement, but may result in no DNA trace to measure. According to Aaron Secrist, director of quality and R&D at NOW Foods, a supplement manufacturer based in Bloomingdale, Ill., it’s not that the DNA test is flawed, but rather the application is not appropriate. “It wouldn’t pass muster for the FDA as a standalone tool for identification because according to Good Manufacturing Practices you have to demonstrate that your method is scientifically valid, and in this case this method in the way that it was applied was not scientifically valid,” he said. 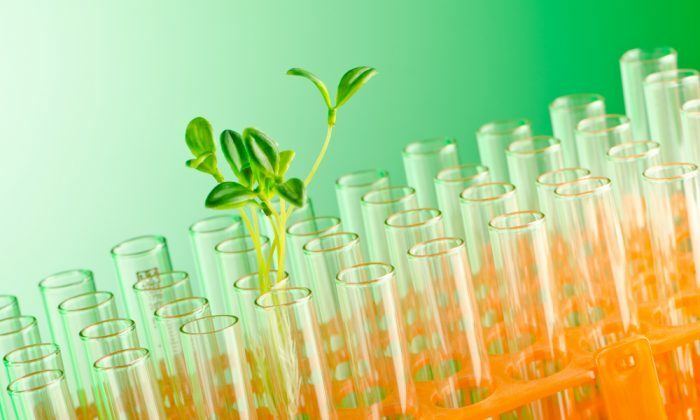 According to Secrist, someone with a background in botany or natural product chemistry would never rely solely on DNA tests to identify a plant extract because they understand how limited the method is for the job. The AG’s investigation was conducted by a reptilian zoology expert, Professor James Schulte II, PhD, of Clarkson University in Potsdam, New York. The method used for the AG’s investigation—DNA barcoding—works by comparing a sample to a public reference library of species identifiers, and then finds the closest match. Secrist explains that with reptile samples, for example, the marker compounds are very distinct and the database is much more complete. With plants it gets a little trickier, which explains why the AG investigation found DNA signatures for rice, asparagus, and house plants in the supplements. Because it’s difficult to isolate plant material, trace amounts of foreign plant DNA is allowable by the U.S. Food and Drug Administration, in both supplements and the food supply. It is not enough to trigger an allergy, and therefore does not have to be labeled. A legitimate evaluation of plant extracts requires multiple methods: High-performance liquid chromatography tells one part of the story, thin layer chromatography and microscopy fill in other details. Two recent tests from laboratories that understand how to test for plant extracts— the New York Botanical Garden and the University of Mississippi’s National Center for Natural Product Research—found evidence for gingko in almost all the supplements they tested. While the AG investigation tested samples multiple times, it appears they only used a single testing technology, and failed to consult a botanical expert in their evaluation. The supplement industry has urged the AG to share its protocol, but it has yet to be released. “I can’t definitively say whether the products the AG tested are not adulterated. But what I can say is that with the information we have that data looks flawed,” said Secrist.